Python project structure and packaging standardization is still not a solved problem, something that became even more apparent to me when I recently worked on packaging a machine learning natural language app. In the JVM, as long as you have your path structured correctly, build tools will understand it and create a package for you into an executable JAR. But, when I started looking for the same standardization in Python, it wasn’t as straightforward. Some questions I had as I worked: Should I be using virtualenvs? Pipenvs? Setuptools? Should I have a setup.cfg? What are wheels, or eggs, for that matter? Does each folder need an __init__.py? What does that file even do? How do I reference modules along the same PYTHONPATH? It became apparent that Python’s flexbility, which I really appreciate when I’m buckled down and writing code, makes it a huge pain to operationalize. As I worked, I thought I’d write down everything I learned and built up to a complete Python project, from first principles, through a simple example, and thought it might help other people working through the same issues, as well. Come with me on a voyage of magic, adventure, and really annoying relative path references to find out how and why Python packaging works the way it does. To comfortably go through the content, you should be reasonably comfortable with Python (aka if you know what a list comprehension is and how it works you should probably be good), and have some understanding of object-oriented programming basics. All of the code is here. My hope is that this post becomes a living document, so if you see something egregiously wrong, or something I missed, feel free to submit a pull request. I’m going to start this Python post with a little Java. Sorry in advance. The reasoning behind this is that having another language for comparison really helps sometimes. I’m currently working through a certificate in computer science, and most of my classes so far have been in Java. I’ve previously done mostly dynamically-typed Python, and R, which is way out there, and Scala, but for Spark, which is a separate beast altogether, so I was a little intimidated by the shackles of Java syntax. # Replaces all instances in a file from "Alice" to "Dora the Explorer"
For a program of a couple lines, you might not want to use Java. But a benefit all of Java’s scaffolding and type safety, and, particularly its build tools, is that it makes large programs easier to package. In Java, you could have three classes, put them in a project structure called project/src/main/java/program and call package on them, and they’ll automatically reference each other. Each program is automatically split logically into a single class. You can compile the separate programs in Maven. And you’re done. But, since Python abstracts types, objects, and paths away from the user, and there’s no centralized build system, it becomes a bit more complicated internally. To understand what Python abstracts away and why this leads to different architecture choices, let’s start at The Beginning. 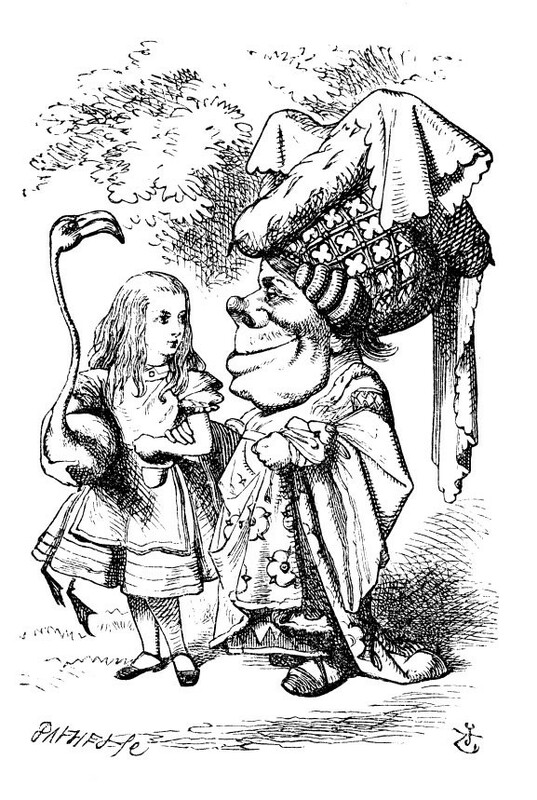 Let’s say I am Lewis Carroll, and I’m writing Alice in Wonderland. But instead of using ink and paper, I’d like to use some 21st century technology. What kinds of stuff do authors usually like to do to books, that can be easily automated with a program? Fixing spacing after a period from single to double, spellcheck, replacing words in entire texts, and word count are some common text editing tasks. Authors like word editors. We’re going to create a really, really (really) simple version of Word to demonstrate how Python packaging works, drilling down through internals and hopefully having some fun along the way. To start writing Python code, I’ll start in the Python REPL, the safe space for testing small pieces of code. This is a variable, and also, a complete piece of Python code. It looks deceptively simple - a string. But it’s really also an object, because everything, even primitive data types, is an object. Objects are the building blocks of Python. You can create multiple objects that you bundle into a single executable file, known as a module. You can bundle several modules into a package. It gets a little more complicated when you also understand that packages and modules are also objects, but let’s keep it pretty simple here. Once we have our object, x, we can find out what’s going on under the covers. Each Python object has an identity - a pointer to a memory address where the object is stored, a type, and a value. All of this is metadata about the object and will help us investigate how various items in Python interact with each other. In Java, we can explicitly see as we build the code what the variable looks like - what type it is, what its class is, and where it fits into a program, because Java mandates that you write all of this out. Then, we can look at the type of a single Python object by calling type() on it. You can see that it’s an instance of class string. And, further, you can see that string is a class, too, type. It’s classes and objects all the way down. We can also find out more about the string object with the __doc__ method. "str(object='') -> str\nstr(bytes_or_buffer[, encoding[, errors]]) -> str\n\nCreate a new string object from the given object. If encoding or\nerrors is specified, then the object must expose a data buffer\nthat will be decoded using the given encoding and error handler.\nOtherwise, returns the result of object.__str__() (if defined)\nor repr(object).\nencoding defaults to sys.getdefaultencoding().\nerrors defaults to 'strict'." Now that we know what a single object can look like, let’s get out of the shallows of the REPL and create a bunch of them to interact with each other. Usually, after we write a couple one-liners, we want to write a complete snippet of code that does something. For example, let’s say Lewis Carroll has written a couple pages and wants to do a word count on the file he’s written (writers always want to compulsively do word counts). We are now working with a file, wordcount.py, and a text file, in the same directory. 2) Python checks for any dependencies (aka import statements) and pulls them in. 3) Python looks in our current working directory (python_packaging) for anything related to the file, and uses the path setup from when Python was installed on your system. 4) Python assembles a Python virtual machine, CPython, to execute and interpret the code. 5) If there are no external dependencies (aka packages), as is the case in our word count program, a special attribute, __name__ is initialized to "__main__" in the main namespace. How do we get that file elsewhere? For example, how do we import functions from wordcount if we’re in the REPL? The REPL is, essentially, a special case of a file being executed directly in our current working directory. However, if we run wordcount.py form the REPL, since we’re importing the wordcount module from elsewhere, the name immediately becomes that module. 6) All of the code gets translated at run-time to byte code using the CPython interpreter. Python generates a copy of the file with the .pyc extension in a folder called __pycache__. If you want to see what the byte code of our program looks like, digging into it can be fun. 7) As the code is executed, Python reads all of our objects and loops. The interpreter allocates memory to the code and the special Python structures for each object are created. This is where the id for each object is created, and why we can call these things after we run the code. We’ve just created a Python runtime environment, told Python which directories it should be reading from, imported some stuff, allocated memory, and given some output. Basically all of the things we do to run a program. Ok, so we’ve run our program. But, if we try to run it on any other file, not just alice.txt, we won’t be able to. Let’s make it a bit more robust. First, we’ll abstract out some of the hard coding referencing alice.txt. Second, we’ll turn the code from a simple loop, into a function that acts like an API so that we can access a single pointer to our loop from other places in the file, and from other files. Finally, we’ll add if __name__ == '__main__' to the program, put all the functions we want to execute under the if block, and run the file that way. If the program is the main program you’re running, Python will run everything in order under that statement. Note that if you don’t have if __name__ == '__main__', the code won’t run anything since the function is initialized but not executed. This is a really important pattern to understand, because it looks into how Python references the current module you’re working with in relation to other modulers. Let’s also: adding a function that counts sentences, as well. These kinds of refactoring tasks will become important as we start to understand how many files, or modules, reference each other in a package. Let’s do one more thing, and now make this function a class so that it’s really, really easy to reference from other modules. A class is part of object-oriented programming, and makes code more modular and easy to call. A class, in a way, is like an API. character count, and sentence count. """Conducts character, word, and letter count of object"""
"""Opens a file object to be used across the class"""
"""Returns a file's word count"""
"""Returns a file's word sentence count"""
"""Returns a file's character count, excluding punctuation"""
Now we’re cooking. We’ve got a program that’s easy to read, abstractable, and applicable across multiple files. We have a complete Python module. For bonus fun and to do some QA, you can paste the test into Word to do a sanity check. I got 274 words, which matches our program. Ok, we’ve cleaned up a single file. We have a pretty simple, clean module to do a word count, a sentence count, or character count on any file that’s input. But what if we want to count the words in a file, and then replace some text in that file, save as a new file, and do a word count again? I could do this in the same wordcount.py script, but for the sake of the case study and modulatrity, let’s call these separate pieces of code, since they do separate things. The wordcount module is for analytics, the new module would actually change things in the program. So now I want one piece of code to do a word count and another to replace words in a file. Here’s the word replacement. As always, we start with a single file and a single function. Now we have a couple of text samples and a couple of modules in the same file folder. Starting to get a little complicated, but it’s not too bad, yet. Let’s say I want to call the wordcount on alice.txt, and then again on new_alice.txt, since I am adding more words. I could copy and paste the word_count method into the replace_words code. Or, I could just reference it from a different file in the same directory. Remember, Python always checks the directory you’re currently working in first for files, and the top-level file is the one that has the __main__ module. Now, I’d like to call the wordcount module from the replace module. Remember that all modules can be imported with their filename. So, if we are in the same directory, we should be able to do a simple import wordcount. Once we do that, we have access to all of wordcount’s classes and methods in the replace module. We also want to see what the name of the module in relationship to the module calling it is. Notice that wordcount’s __name __is wordcount, while replace's is main, since that’s now the main module we’re referencing. All of the functions from the wordcount module are imported into the replace module, to be used. That module is no longer the main module when you are running replace, but a helper module, because of the way __name__ now points. These two modules also have to be in the same directory. This distinction makes up the heart of the Python packaging system. Let’s finish up by replace a callable object with an API, as well. Ok, now we have a word “editor”, a word counter, and we’re cranking away on Alice in Wonderland. What else might we want in a text editor? the ability to change from single to double space after a period? Based on PEP, the arbiter in Python style, the package name should be short, lowercase, and meaningful..
Now that we have more than three modules, and also some text files, we’ll want to create a package. Let’s follow PEP again and call it something easy: textedit. If we were publishing this package to PyPI, the public repository of all available Python code and where we pull stuff from when we do pip package, we would want to make sure it doesn’t conflict with other names. Since we’re just sharing it with ourselves and maybe a couple of other people on our team, it’s fine for now. Note: there are IDEs (PyCharm) and programs that set up a cookiecutter Python application for you, but I’ve found these to be too complicated when you’re just starting out. It’s important to understand what is actually being set up, and not to get too bogged down in the implementation/continuous integration details that you might not have to deal with at first. Which brings me to a (probably obvious) tip: Try to base your software on existing, successfully-tested patterns in the real world instead of trying to greenfield it. Chances are someone has already solved the exact problem you’re trying to solve. replace and spacing actually edit the document and create new copies of files. So you might want something like the way these functions are organized in the Word menu. And then you have your text documents that you’re actually testing the functionality on. Those should be separate from the code. At its very basic level, this is what our code structure looks like. But, there are signals we need to give to Python to read this correctly. CPython also needs to know how these things relate to each other in order to compile a package for us. And the code needs to be built in a way such that other people can seamlessly download it and use it without a lot of explanation from you. Which is why, if you look at some popular Python project folder structures,like Pandas, Requests, or Flask, you’ll see they tend to be a bit more complicated. Generally, it’s a good idea to look at other people’s work, so here are some smaller Python packages to take a look at. So how do you go from two scripts to a fully-functional package? First, Python needs to have all of the files of the project in its same directory and subdirectory:. The top-level textedit is the distribution or package, and the lower-level one is the actual module. Then, you’ll want to add tests. Unit tests help you make sure that your code runs as expected, even as you change it. You usually want to write a test for each function or package. There is a whole art/science to unit testing, but for the sake of this example, I’m going to skip it and just write an example test, called test_wordcount.py. When you run this piece of code, it will check to make sure that wordcount is doing what you want it to do. Usually, we’ll want to have the units broken down and more well-defined, but remember, here, we’re focusing on building a package rather than the nuances of testing. ../texts/alice.txt as a relative file reference. Here’s where the fun of packaging starts. Because we now have files in different directories, Python needs to understand how to link those directories together to execute the files. And there it is, at the end. For now, we have to add sys.path.append to every file that we want to import. This is temporary, just to show how that works. We’ll fix this later. And, speaking of imports, we now have external packages that we’re calling: os, re, and sys, common modules. How does our package know how to call those? For example, we’ve used os, sys, and re in building this module so far. These are standard library modules, and come default with every Python install. It will also sync versions to make sure that they have the exact version you used to develop your code. To create a requirements file, you would normally do a pip freeze > requirements.txt. You’ll notice that this includes a lot of stuff, basically everything you have in your Python environment, since pip freeze doesn’t know which specific packages you’re using to build your package and there could be interactions. There are several ways to build requirements on a per-project basis, but we’re not going to use them here because we want to focus, again, on packaging rather than Python environments. A simpler way to do this is to install pipreqs and take it from there. Let’s add some documentation, as well. Good documentation is really important, paricularly to someone just coming into your project. And, even more so, for yourself tomorrow morning. :) The easiest way to add documentation is to add a README to the top level of your module, the same place as requirements.txt. Here are some aspirational examples of what good documentation should look like, but remember, these are really complicated examples. Here’s a good, simple one. The advanced next level is to generate your documentation with Sphinx or reST. Don’t worry about that yet. Documentation also includes your code. All of your code should have headers, and your classes should have docstrings, as well. Comments are good! For headers, there are mixed opinions onto what one should contain, but I think headers help. If you have any shell scripts or additional helper methods associated with your project, you can create a bin directory for them. We don’t, so that folder will be empty. But scripts are usually present anywhere you have to deploy stuff, add it to cron, or generally put it in production in any way. This is also where continuous integration can come in. And, finally and most importantly, the __init__.py, which we’ll want to add to every directory where you have runable Python modules. If you remember from the Python innards overview __init__ is a special file that will make Python realize that you have a package working together instead of a single file. We can leave it null. Or you can add things to it that will initialize when the module is run. Let’s leave it null for now. When Python imports the module for the first time, it checks the module registry for a list of modules that it can use. Init allows your module to be put in that registry.. There is this concept in Java of a driver program that you can run and have it call all the other programs in the package. In Python, we can also have a __main__.py file, which will execute everything in it first and pull in from other directories. This might be helpful if you’re pre-executing things, like for example a script has to kick off right away to load the word document, for example. Here, since we’re just performing different things to a document in a single state, we don’t really need it. Additionally, there are mixed thoughts about having a driver. Google’s Python code, for example, says that every file should have a name/main pattern. Now that we have the scaffolding in place, we can add things that will help us set up the module after we import it from pip or download it. This is setup.py, the heart of a project. It has metadata about the project, import distutils, which does the actual program setup whenever someone downloads it, as we specified in the README.md, and be at the top level of the package..
Here’s more really good background on what goes into the file. Here’s what ours will look like. The most important part is setting the here variable to the current filepath. This lets us avoid all of that and forces a root directory. # What packages are required for this module to be executed? # Except, perhaps the License and Trove Classifiers! # If you do change the License, remember to change the Trove Classifier for that! The rest is metadata about who you are and what the package looks like. It’s really top-loaded for use in PyPI, so I removed those components and kepts the ones necessary for use locally. One of the things included in here is the install_requires which lists the requirements that will be installed for the file to continue. But wait, you say. Don’t we already have a requirements.txt file? Yes, we do. We’ll be using that one, instead. The difference between the two is that install_requires is configured more if you’re packaging for production-ready systems and putting your package in PyPi, the Python package repository. If you are targeting specific packages in development or testing, use requirements.txt. Since we’re not exactly focusing on targeting PyPi here to keep things simple, we’ll use requirements. Now that we have everything set up, let’s convert the rest of the code to more OOP-like practices, clean it up, and take a look. An extra step we can take here is to make sure that none of the modules actually have an if __name__ == '__main__' piece of code so that they don’t run on their own, and create that driver module we were talking about so that there is only one entry point to the package. You can see that in action here, for example. that’s a matter of style and might or might not make sense for your program. Ok, we’re done writing all of our code, our tests, making sure objects are accessible, and we have our structure all layed out. What do we do now? Let’s package it! mbp-vboykis:textedit vboykis$ pip install . python replace.py ../texts/alice.txt "Alice" "Dora the Explorer"
mbp-vboykis:review vboykis$ python wordcount.py "../texts/alice.txt"
mbp-vboykis:review vboykis$ python readability.py "../texts/alice.txt"
Or we can now call the package from a completely new program, since we have it installed. Note the import structure. Each folder and subfolder is folder.subfolder, and each module name is after the import. Classes are referenced later down. """Tests textedit functionality on the pool_of_tears.txt file"""
The next step would be to use argparse to pass arguments a bit more cleanly. And that’s it! We’ve imported a package that we can now use to write other software. What’s next? A lot. But we’re not going to cover any of it in this post, because the goal, again, was to understand the basics of packaging. But, now that we’ve taken our first step into a much larger and more insane world, there are a lot more next steps we can take to make sure our code is clean, secure, and easy to use. I mentioned before that there are several ways to create specific environments to build your applications so you’re isolated from whatever else is going on in your Python ecosystem. 1) Use virtualenv, which acts like a container and isolates the application you’re developing to a single environment that just has the packages you’re interested in for that specific application. 2) Use pipenv, in which you install packages through pipenv install requests instead of pip. It will create a Pipfile, which keeps track of all your libraries. Both of these are involved in modifying the sys.path that we looked at earlier so that Python knows where to find other files. Your next step would be to use either of these instead of your local Python environment. Unittest is a great starting point, but there’s also pytest, nose, mock testing (when you have complex object dependencies), and much, much more. All of these work slightly differently. Once you build a package, you’ll probably want to make changes to it. And push those changes to some remote version-controlled repository so that others can use them. And you’ll want to automate this process so that you’re not manually doing pip install .. This process is known as continuous integration. There’s a number of fantastic tools for Python CI. The most popular one these days is Travis, which involves adding a travis.yml file that will test your code against your tests and known Python versions. We haven’t touched the subject of version control for your package, but you’ll want to add it to specific repositories. We can also add pre-commit and post-commit hooks to our code, which mean that the code gets checked, or some specific action is triggered, when you try to check in your code. In our module, there are no passwords or usernames. But if you’re working with databases, webforms, or any number of software options that require you to log in, you’ll need a separate setup.cfg file that stores your passwords and keeps them safe on your local or testing machine while not sharing them with others. We’ve already written README.md. But what if you have multiple files that rely on each other? Or you want to use your docstrings to build documentation? Sphinx and reST are some ways popular Python packages are documented. Once you’re done refining all of that, and you’re ready to go to production, you should build a wheel. Python wheels are similar to JAR packages in Java, and are a much faster and lightweight process to use in production environments. You can use setup.py to build wheels (which is why it’s so important to get it right initially), python setup.py bdist_wheel --universal. This is the big one. If your module is stable enough, you can release it to PyPi, which means anyone in the world can download it through pip. There are some extra hoops you have to jump through here, namely in how you configure your setup.py file. For an easier way to do this, Flit is a potential option. Once you’re ready, the whole world can see and use your text editor. Python project structure and packaging can be intimidating, but, if you take it step by step, it doesn’t have to be. Look at other people’s code, particularly smaller, modular projects, break the work up into pieces, and work through it piece by piece, until you’re all the way down the rabbit hole. A huge thank you to Sam Zeitlin, Tom Ausperger, William Cox, and Mark Roddy for reading drafts of this post. Any additional errors are wholly my own and the fault of too many late nights spent in the Tenniel Alice in Wonderland illustrations. To fix a bug, feel free to submit a pull request.